Mithun seeks a versatile, technically-focused and concept-driven Landscape Architect with at least 15 years of experience to join our interdisciplinary practice for various urban and rural projects including public realm, mixed-use and affordable housing, TOD, museums, higher education, mission-driven and creative workplace typologies. This role has a technical emphasis and the opportunity to be a leader with quality assurance and specification writing within the landscape architecture team and firmwide. 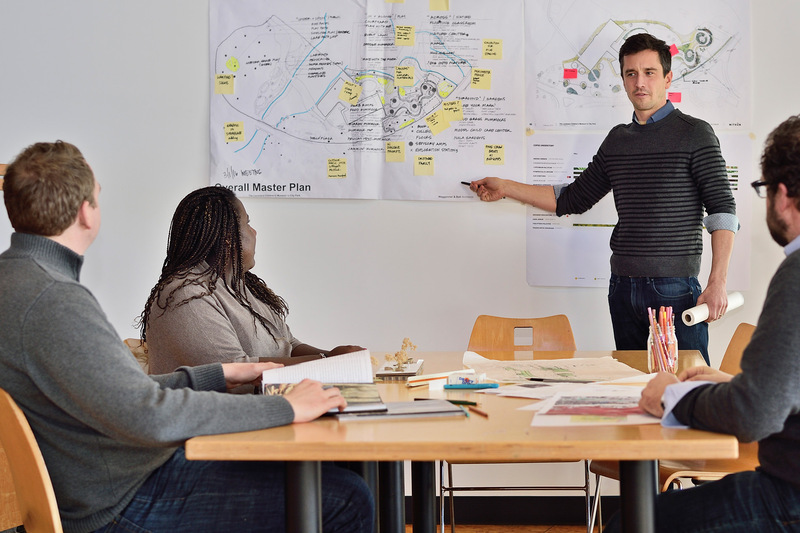 Qualified candidates have a degree in Landscape Architecture and are registered Landscape Architects. Qualified candidates also have strong design, sketching and graphic skills; thrive in an entrepreneurial, fast-paced environment; are flexible to support numerous teams firmwide in any project phase; have admirable team leadership and mentorship aptitude; and have deep experience in quality assurance and specification writing. Knowledge of ecological systems is desirable. Ideal software proficiencies include InDesign, Photoshop, GIS and Revit. At Mithun, our design has purpose—to create positive change in people’s lives. We are an internationally recognized leader in sustainability and resilience, combining exemplary design with a focus on building and site performance, human health and social equity. Since the inception of the practice in 1949, our work has been recognized with numerous peer and industry awards including six AIA Committee on the Environment Top Ten project recognitions, two National ASLA Honor Awards and many design awards from the Washington state chapter of ASLA. Mithun is a JUST organization and ranked among the top firms in the nation by Architect magazine. Send us your letter of interest, resume and work samples to be considered for opportunities at Mithun. Email is preferred with PDF attachments not exceeding 10 MB. No phone calls, please. Mithun is an Equal Opportunity Employer.